Klout: What Is It and How Does It Work? How would I describe Klout? In my opinion, Klout is comparable to a credit score. Credit scores increase if you’re on time with paying a credit card bill and decrease if you missed a mortgage payment. Klout is the social media version of this system, per se. Klout monitors your engagement, posts and other metrics to determine a score. The higher the score, the more influence you have in the social world. 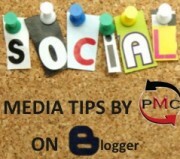 The more you interact, post and engage others on different social media platforms, the higher your Klout score will be. Business professionals have begun looking at this ranking system for hiring social media managers. Is it the perfect way to gauge your social media expertise? Probably not, but it can give good insight into how much you interact with others, and if your content gets shared around the web. That may be a good indicator of how well you will manage their social media campaign. But digging deeper into Klout, we will look at the different metrics, what they mean and possible ways to increase your overall Klout score.